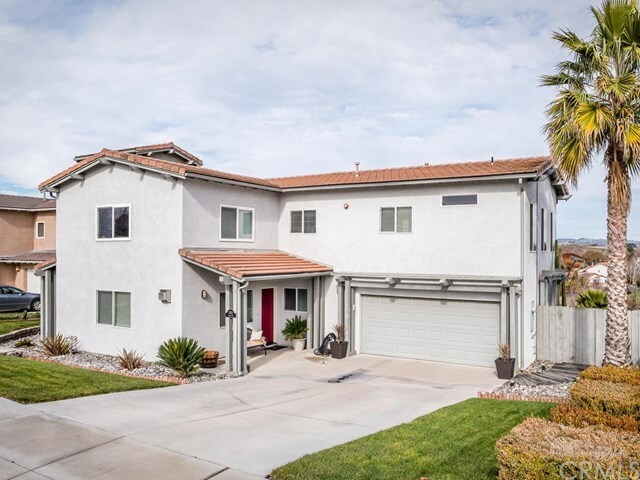 Beautiful must see views in this 3 bedrooms, 2.5 bathrooms home on the west side of Templeton! This home boasts a spacious floor plan perfect for entertainment on both levels. Downstairs you'll find a spacious living area with a gas fireplace perfect for these colder months. Inside dining space and kitchen are an open space also having sliders on each end out to the beautiful wood deck for outdoor entertainment, barbecuing, dining and gorgeous views! Upstairs features all three bedrooms with a spacious loft for a game room and upper small office. Bedroom views have the same beautiful sights of Templeton and distant Hillsides. Front yard has lush mature landscaping and the backyard has newer deck area and bark covered hillside with plants and stepping stones needing minimal maintenance. Call your Realtor today for a private tour of this beautifully maintained home! Directions: West on Las Tablas road. Left had turn on Bethel, left at Templeton Hills to Laura Ct.